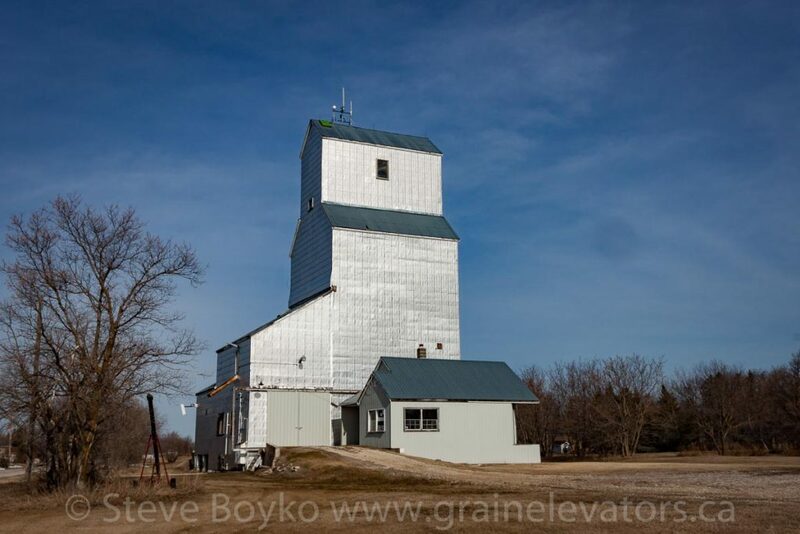 The town of Tyndall, Manitoba has a single grain elevator. 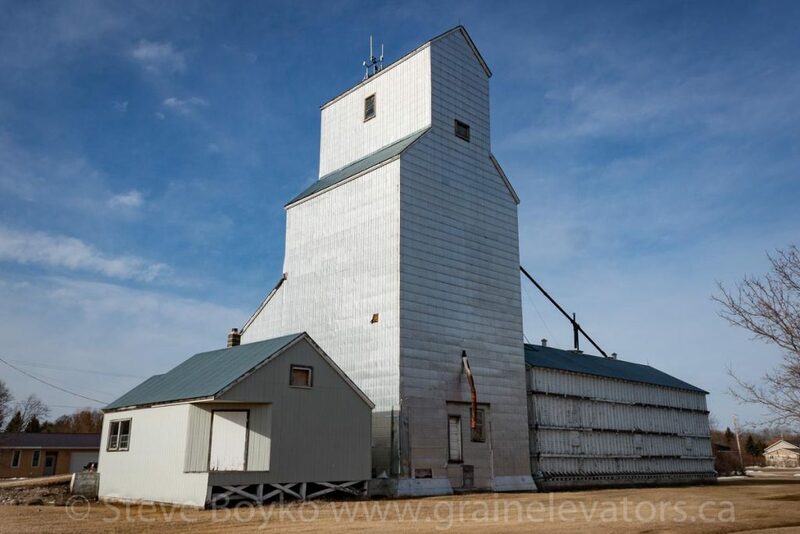 This elevator was built in the early 1950s to replace the original Tyndall grain elevator, built by the Lake of the Woods in 1920. In 1960 an annex was added and it became a Manitoba Pool elevator. It became privately owned in 1971. 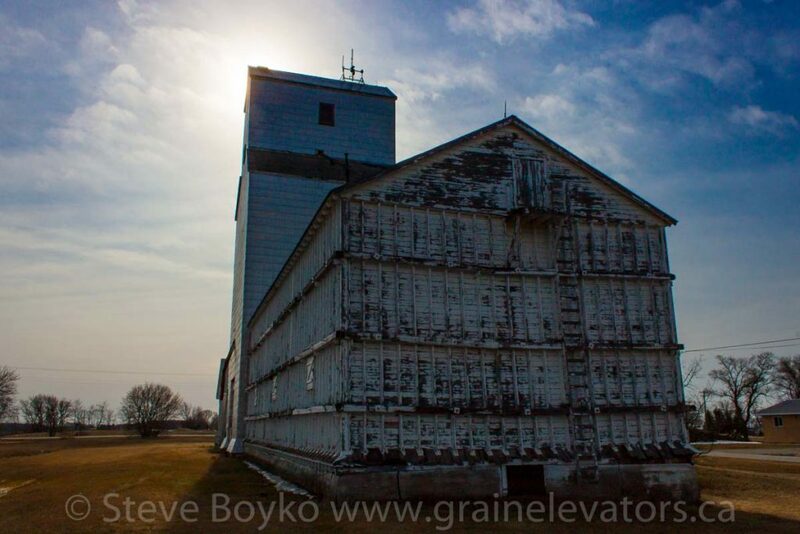 The grain elevator has a balloon annex on one side and an office on the other side. 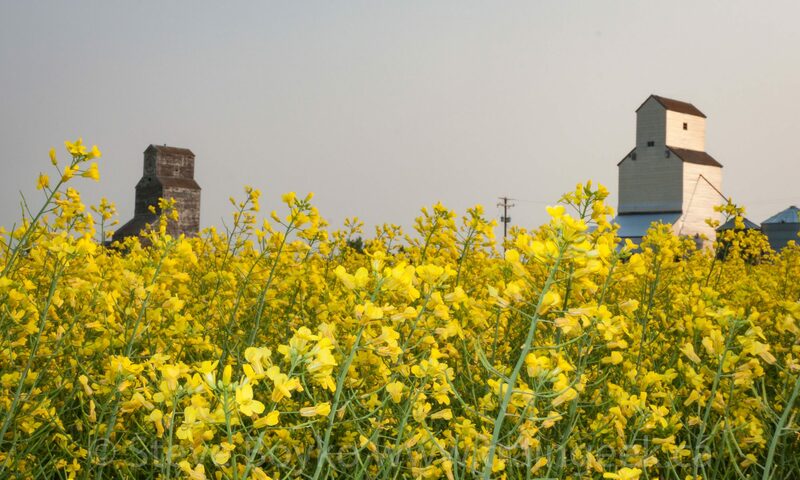 There is a Facebook group devoted to saving this elevator. 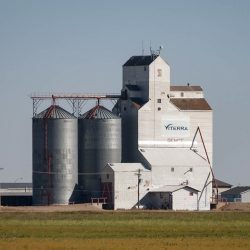 Attempts have been made to raise money to move the elevator to nearby Beasejour to join the Pioneer Village Museum there.